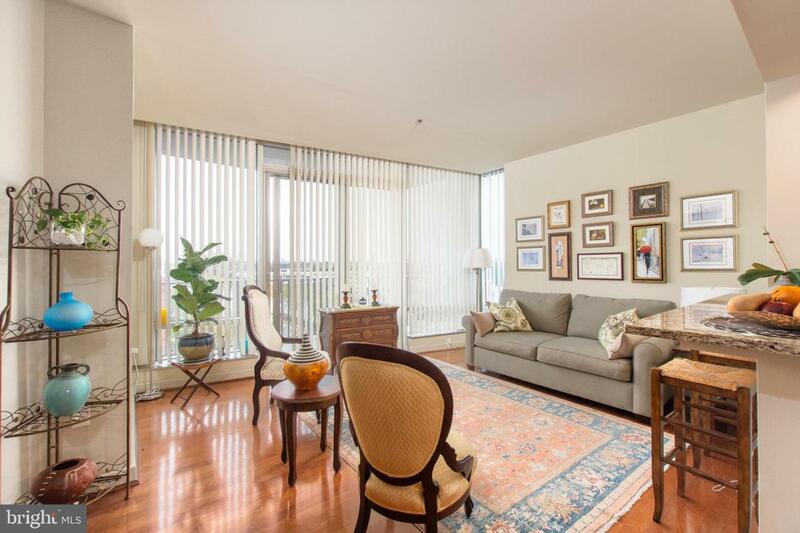 Well maintained by the original owner, 2 bed/2bath corner unit with east and south views. Foyer entry, open main living plan to include a spacious kitchen with 42 inch cabinetry, stainless appliances and breakfast bar, light filled living/dining rooms with hardwood flooring and wall of patio doors leading to the balcony. Master suite with private bath with stall shower and separate tub, 2nd bedroom, main tiled bath and laundry room. Additional features include deeded assigned parking, fitness center & pool and 24/7 security.